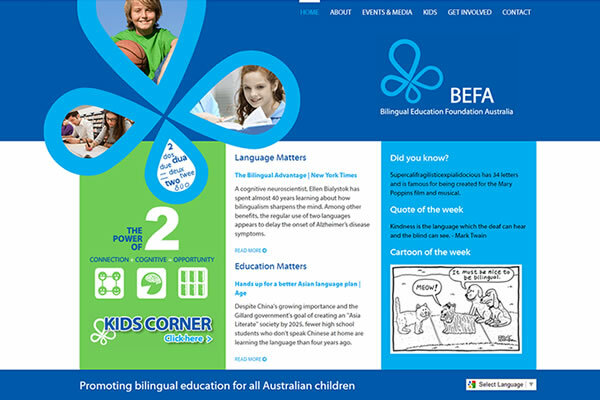 The Bilingual Education Foundation Australia (BEFA) is a non-profit organisation formed to promote bilingual education for all Australian children. 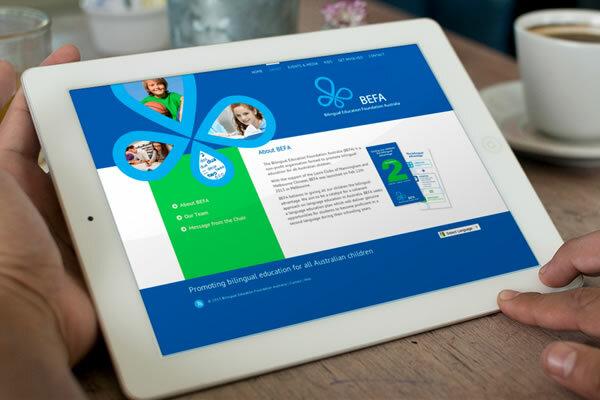 We have just completed their brand new website which features striking graphics and bold colours. 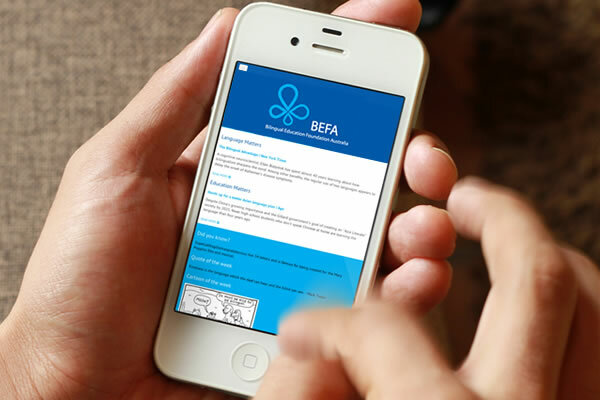 The website is easy for them to maintain using the custom CMS to manage their page content, news and quotes. The total package includes website design & development, custom CMS, PHP, CSS, responsive design for mobile devices and marketing materials.